Texas Bigfoot, perhaps more specifically the East Texas Bigfoot (everyone knows he lives in the Pineywoods) has been making big headlines recently. The hairy cryptid is more popular than ever thanks to shows like Animal Planet’s “Finding Bigfoot.” But in the height of his popularity, Bigfoot may find himself in the crosshairs, at least here in Texas. Will hunters soon be pulling into East Texas in droves to claim what might be considered the biggest hunting trophy of all time? Will local outfitters start offering Bigfoot hunts? How long before someone in a gorilla suit is shot dead? The matter came up recently when Oregon-based Bigfoot buff John Lloyd Scharf contacted Texas Parks and Wildlife official David Sinclair to inquire about hunting unknown creatures, such as Bigfoot in Texas. We appreciate his inquiry, rather than an “act now and apologize later” attitude. Sinclair told FoxNews.com he responded with a straight description of the law — which hinges not on whether the mythical beast exists, but on precisely how the government would label it. “A non-protected nongame animal may be hunted on private property with landowner consent by any means, at any time and there is no bag limit or possession limit. An exotic animal is an animal that is non-indigenous to Texas. Unless the exotic is an endangered species, then exotics may be hunted on private property with landowner consent,” Sinclair responded in an email to Scharf. One key question is whether the legendary cryptid can be considered exotic under the terms of the law. Sinclair later said he his response was taken “wildly out of context,” and that he was misquoted. As it turns out, the way Texas law is written, it suggests it would in fact be legal to hunt Bigfoot. Texas has one of the nation’s highest incidents of Bigfoot reports, outranked only by Washington, California, Oregon, Ohio and Florida. But is it really okay to hunt and kill the legendary Bigfoot? Having the right to kill something and actually doing it are two different things. Two Texas Bigfoot researchers have different views. Craig Woolheater, who runs Cryptomundo.com says he could never shoot a sasquatch, but Brian Brown, media coordinator for the Texas Bigfoot Research Conservancy would have no problem gunning down the legend. “Our primary mission is to conserve these animals. They cannot be conserved until they are accepted as fact. They will not be accepted as fact until a type specimen is produced. 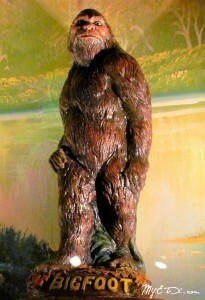 It’s as simple as that,” Brown wrote on the group’s website, www.texasbigfoot.com. Meanwhile, this announcement has sparked a firestorm in the Bigfoot community. 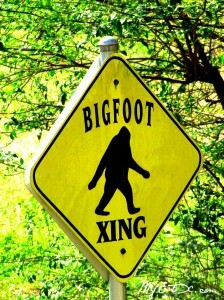 This issue brings up a longstanding debate within the Bigfoot community: Would be ethical to shoot and kill a Bigfoot? Some say yes, because that’s the only way to prove they exist. Once proof is found, funds could be made available to protect them as an endangered species. Others say no — because Bigfoot sightings are so rare, they must have very small populations and killing one might drive the animals to extinction. It’s the only way we’re going to have definitive proof for its existence. It’s just an animal, like a deer or bear, so why not kill it? It might be nearing extinction, so we should try to get a body now before they disappear. It could be an intelligent creature. Obviously, we don’t know much about the Bigfoot, or Sasquatch. It could be human-like, a surviving human ancestor, or other intelligent primate. It might have language, social customs — who knows what else. We just don’t know. Killing one could be considered murder. Even if it is just an animal, like a gorilla, it might well be an endangered species. There might not be very many of them left and to take the chance of wiping out what could be an incredibly fascinating and important species would be tragic. And if they disappear before we get the chance to study it, then that’s just too bad for us. To kill one just to satisfy our desire for proof is short-sighted, egotistical, and just plain wrong for the reasons stated above. 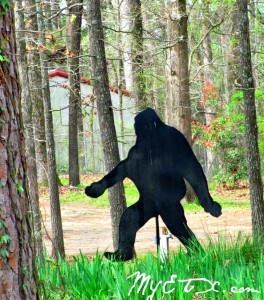 Here at MYETX, we believe that the legendary Bigfoot is deeply rooted in the culture and folklore the Pineywoods region. We do not favor killing or capturing one of these cryptid creatures, in the event that you encounter one. So far, Bigfoot has been smart enough to out-wit his pursuers. We hope he lays low for awhile. ETX- Over the holidays, family and friends pour into our homes and often we are left wondering what to do, or how to entertain them. 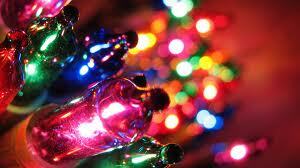 This year load up the family and head to one of the beautiful Christmas Light Parks in the Pineywoods! Take a drive, sip hot coffee or hot chocolate, listen to Christmas music, and enjoy millions of twinkling lights at drive thru Christmas light parks here in East Texas! CROCKETT – PWFAA is in the vanguard of a groundbreaking international program aimed at establishing greater understanding between American and Muslim societies. Caravanserai: A place where cultures meet is an artistic and cultural exchange program that showcases the diversity of the contemporary Muslim world through art and culture. The Great Texas Balloon Race – July 30th through August 1st will bring the return of the Great Texas Balloon Race (GTBR) to the East Texas Regional Airport and marks 32 years of hot–air balloon racing in Longview. Packed with events from dawn to dusk, the GTBR is a weekend festival with something for everyone.